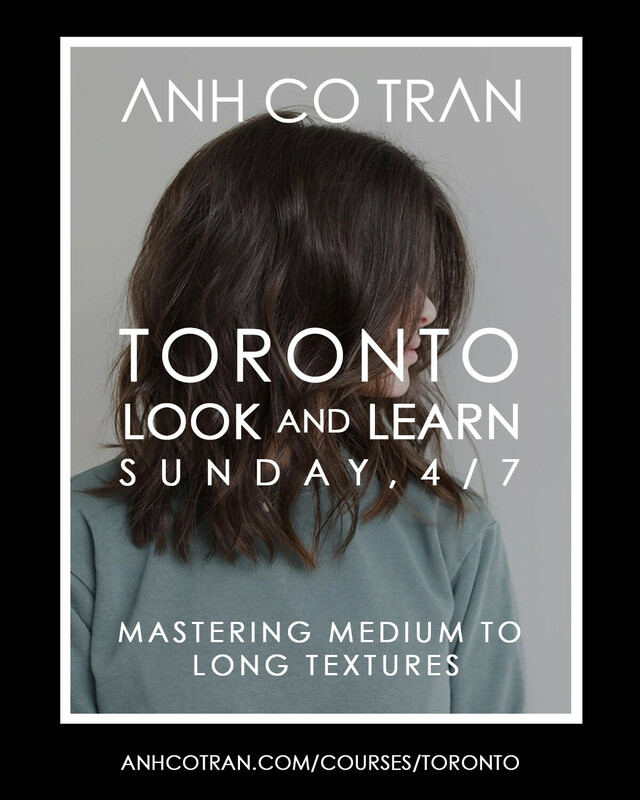 Join Anh Co Tran for a comprehensive “Look & Learn” course designed for all professionals. Take this opportunity to be the very first in this limited-size class to learn and pair Lived-in signature cuts for medium to long hair textures. Gain the skills and confidence to reproduce Anh’s signature look through live, step-by-step demonstrations. Limited class size gives everyone ample time to view model demonstrations, study head sheets, and engage with Anh directly. For more information, email: info@anhcotran.com or txt/call (424) 522-9285. Join Anh Co Tran for a comprehensive “Look & Learn” course designed for all professionals. Take this opportunity to be the very first in this limited-size class to learn and pair Lived-in signature cuts for short textures: pixie, bob, lob, and more. Gain the skills and confidence to reproduce Anh’s signature look through live, step-by-step demonstrations. Limited class size gives everyone ample time to view model demonstrations, study head sheets, and engage with Anh directly. For more information, email: info@anhcotran.com or txt/call (424) 522-9285.